From a libertarian perspective, President Obama’s recent triumph in the healthcare reform fight was not cause for celebration. Libertarians object to the legislation’s guiding philosophy, neatly captured by Speaker Nancy Pelosi, that healthcare is “a right and not a privilege.” But a right to be free from something merely requires others to leave you be; a right to something requires others to act and to pay for the cost. The basis of libertarianism is that no one is allowed to tell competent adults what to do, or to take their property. This argument is unlikely to win converts, though. Ours is clearly a society in which the idea that government is entitled to tax and spend has widespread legitimacy. In practical terms, some believe that state-run medicine is too expensive, even if moral. Others claim that public healthcare reduces costs by eliminating administrative and marketing overhead and the need to turn a profit. But even if we assumed, for argument’s sake, that state-funded healthcare is both proper and cheaper, would the debate end there? Not quite. 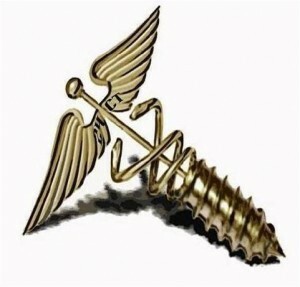 By definition, under socialized medicine, every patient who receives a check-up, fills a prescription or gets a test digs a bit deeper into taxpayers’ wallets. Before chiselling President Obama’s likeness on Mount Rushmore, we would be wise to reflect on the tensions inherent in this relationship between individual behaviour and public expenditure. In a nationwide 2008 Zogby poll, 78% of respondents agreed that “Americans who make poor health choices should be held responsible for them,” while 57% said that “poor personal choices” explain differences in health between people—second only to socio-economic status at 62%, and ahead of limited access to either health insurance or healthy choices, mentioned by 47% and 30%, respectively. (1) These numbers suggest broad support for the idea that personal choices are a major determinant of health. Now, there is every reason(2) to believe that the Congressional Budget Office’s projected cost of $940 billion over a decade is a serious underestimate. (3) In addition, the White House’s Office of Management and Budget forecasts that over the next 10 years, Washington will add over $8.5 trillion to the federal debt. (4) The CBO’s figure is even more worrisome, topping $9.7 trillion. (5) So already-squeezed taxpayers will be paying gobs of money to subsidize what they see as unhealthy choices. Such pressures do not lend themselves to stable policy. Something will have to give. One possibility is that the government could ration care based on the identity of the patient or the nature of the ailment. In your ninth decade? You’re not worth saving. Like sun tanning? Enjoy your melanoma. Sarah Palin’s death panels, here at last! Nonsense. The public wouldn’t stand for it… would they? All scarce goods must be rationed. Markets do so according to who pays, but with socialized medicine, it falls to the state to decide who goes first and who waits. If a 72-year old smoker and a young girl with leukemia both need chemotherapy, who can justify putting him first when the illness is his fault? But then, who can justify giving her priority when he’s paid taxes his whole life? Or maybe the real issue is who commands more votes: elderly smokers or sympathetic parents? Either way, this form of rationing is not quite as far-fetched as some believe: a 2008 study found that one in 10 hospitals in the UK refused to operate on smokers and the obese, and that many British doctors supported denying publicly-funded treatment to those with unhealthy behaviours. (6) In Canada, where the private provision of numerous medical treatments is illegal, such policies could literally kill people. Alternately, Congress could impose levies on certain behaviours, such as by taxing cigarettes or sugary drinks. On the surface, Americans seem resistant to such measures: in a 2009 nationwide poll, 60% of respondents opposed a tax on junk food. However, given that only 26% agreed that such a tax would encourage people to lose weight,(7) some effort convincing people otherwise might turn strong opposition into ardent support. And since 58% of those polled by Zogby in 2008 agreed that “Americans with unhealthy lifestyles should pay more for healthcare,” the argument that tax money should not be used to treat “lifestyle diseases” is likely to find fertile ground. In any case, President Obama seems to be a believer, having already signed off on tax increases on cigarettes(8) and tanning salons. (9) A win for social engineering, and a blow to personal freedom—ironically, all so government can try to emulate what private insurers would pursue through voluntary contract: account for the price of treating unhealthy people. Shouldn’t the government tax things that are bad for us? Regrettably, many people do see social engineering as a legitimate governmental aim. But what if we deny some people public medicine, and costs keep rising? What if we tax bad behaviours, and costs rise higher still? "Shouldn’t the government tax things that are bad for us? Regrettably, many people do see social engineering as a legitimate governmental aim. But what if we deny some people public medicine, and costs keep rising? What if we tax bad behaviours, and costs rise higher still?" The state has one more cost-saving card to play: not just discouraging behaviour, but outlawing it entirely. Setting aside the disastrous consequences of the war on drugs, isn’t this a good thing? Who’ll really miss trans fats? Can’t trans fat-free cookies be just as delicious? And if not, won’t we soon forget how the old ones tasted, anyway, and be healthier for it, too? So, you don’t use tobacco, hate sodium, think extreme fighting is barbaric, never hit the slopes and your figure is more Madonna than Maradona—but don’t think you’re off the hook. Whether it’s a sun-drenched beach, a piece of chocolate, or just a stroll around the block (watch out for that car! ), something you do harms your health (or threatens to). No, the government is not about to ban a leisurely walk on the grounds that you might get hit by a bus. But in a bygone era, it was a given that one could ride in a car without being strapped in, or bike without a helmet. Just a few years ago, most New Yorkers didn’t even know what trans fats were, much less dwell on their freedom to consume as much of them as they wanted. This is a slippery slope, greased by the federal government’s empty coffers and whose only brakes are the ever-changing boundaries of what people accept as reasonable legal limits on their actions. The pattern is familiar: a new restriction is laughed off as absurd. Then it becomes worth considering. Somewhere along the way, it becomes an experiment. Gradually, it gains increased acceptance. Finally, people can’t believe that things were ever any different. At the advanced age of 30, I can’t imagine a world with school prayer, indoor smoking or newspapers and tin cans that are thrown away, never to be seen again. And yet all these things existed in Canada within my lifetime. There are limits to what people will accept today. There are none to what they will accept… one day. Slippery slopes can be good things. Slippery slopes brought us desegregation, secularism, legalized abortion and gay marriage. Good things all, in my view. But even if you disagree, the point is that policy is not static. Like a shark, it is forever in motion. Sometimes it moves in directions you like, sometimes not. Sometimes it moves in your favoured direction and reaches your ideal destination—only, to your horror, to continue along its way, by which point your feckless cries of “Too much!” go unheeded. The ultimate step will come when we accept that government should not only prohibit unhealthy activities but actually require healthy behaviour. The forced calisthenics Winston endures in the novel 1984 happily remain just as unthinkable today as they were in Orwell’s time, but should we scoff smugly at the idea that one day, taxpayers frustrated with an ever-growing fiscal burden might think that salvation lies in dragging fat men onto treadmills? If they do, how long before people wonder how we ever got along in a world where such things were seen as a matter of private, individual choice? 1. "Transforming Health Care: American Attitudes On Shared Stewardship." an Aspen Institute/Zogby International Survey, May 2008. 2. Nick Gillespie, "If Past is Prologue When it Comes to Guesstimating Actual Health Care Costs, Well, it Was Nice Knowing You All..." Reason, March 21, 2010. 3. Robert Schroeder, "Health bill's savings touted as historic vote nears - House bill costs $940 billion over 10 years, saves $138 billion, CBO says." MarketWatch, March 18, 2010. 4. "Budget of the U.S. Governement - Fiscal Year 2011." White House. 5. Douglas W. Elmendorf, "Preliminary Analysis of the President's Budget Request for 2011." March 5, 2010. 6. Laura Donnelly, "Don't treat the old and unhealthy, say doctors." Telegraph, January 27, 2008. 7. "New York State Voters High On Medical Marijuana, Quinnipiac University Poll Finds; Freeze State Workers' Pay, Voters Say 3-1." February 4, 2010. 8. "Smoke Breaks Just Got More Expensive." CBS News, April 1, 2009. 9. Blake Ellis, "Tanning salons burned by health care bill." CNNMoney.com, March 24, 2010. 10. See "New York City passes trans fat ban - Restaurants must eliminate artery-clogging ingredient by July 2008" msnbc.com, December 5, 2006. See also "California Becomes First In Nation To Ban Unhealthy Ingredient." Press Release, July 25, 2008. 11. Bruce Golding, "Judge upholds ban on flavored-tobacco sales." New York Post, March 24, 2010. 12. "Senators seek to ban extreme fighting matches." The Seattle Times, January 20, 2004. 13. "Assemblyman proposes ski helmet law." WNYT News Channel 13, March 25, 2010. 14. "Bill No A10129." New York State Assembly, March 5, 2010. 15. "Sorry, you’re too fat to eat here - Miss. bill would ban restaurants from serving obese customers." msnbc.com, February 4, 2008. 16. Amarjeet Bhamra, "Why do we need the Campaign?" Save Herbal Medicine, February 1st, 2010. 17. David Smith, "Marathons consider a ban on iPods." The Observer, March 30, 2008. 18. "Dangerous Weapons; Pocket Knives; Sale." S.B. No 126, State of Hawaii, 25th Legislature 2009. 19. "Sidney Crosby sticks up for street hockey in Halifax." CBC News, January 31, 2006.